Maryland officials April 6 approved a public-private partnership (P3) to build a $5.6 billion, 16-mile light-rail line through the Washington suburbs. Reports described the 876-page agreement as one of the nation’s largest P3 deals for a transportation project. The Port Authority of New York and New Jersey last month approved a $5.3 billion P3 for a new terminal, transit infrastructure and other work at LaGuardia Airport. 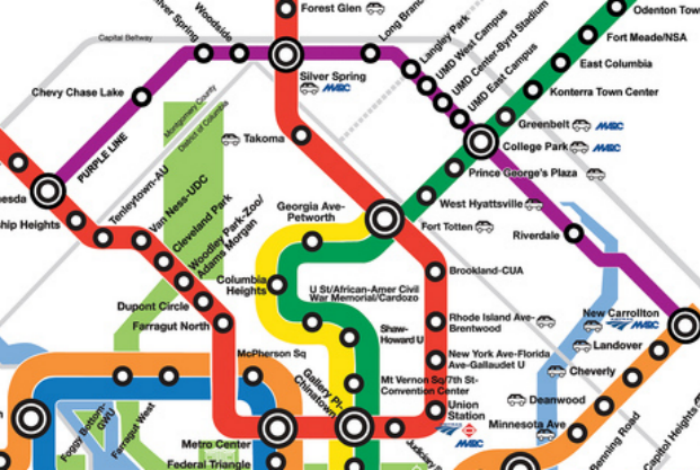 The Maryland “Purple Line” will connect Bethesda in Montgomery County to New Carrollton in Prince George’s County. It will link with the Washington region’s Metrorail system at each terminus, as well as at College Park—home of the University of Maryland—about halfway in between. After his election in November 2014, incoming Gov. Larry Hogan (R) expressed concern about the need for the project and its price tag. At the time, ARTBA wrote him and asked that he consider the possible negative ramifications for P3 projects—both in Maryland and nationally—if his administration decided to delay or cancel a project in the late stage of procurement. ARTBA noted that the four competing teams had invested $40 million and thousands of hours in the process to that point. Upon taking office, Gov. Hogan chose to continue the Purple Line with some modifications. Several ARTBA members are part of the project team as approved. Members Fluor Enterprises Inc. and Star America Purple Line, LLC (Star America), formed Purple Line Transit Partners, which is providing equity investment in the project, along with Meridiam Infrastructure Purple Line, LLC. ARTBA members Lane Construction Corporation and Traylor Bros., Inc., are part of the design-build team. Construction is scheduled to begin by the end of the year. Passenger service is anticipated to begin rolling by spring 2022.